"It was this combination of passion and perseverance that made high achievers special. In a word, they had grit." Are you trying to create greater success; for yourself, your team or perhaps your children? Have you ever wondered, what is the most important thing you can do or teach them to spur their achievement? 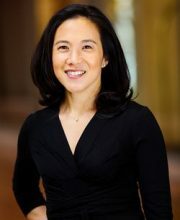 Angela Duckworth, a celebrated researcher and professor shows us that the secret to outstanding achievement is not talent but rather grit; a word that summarizes a special blend of passion, deliberate practice, purpose and hope. Grit isn’t a fixed personal quality, you can grow it by cultivating your interests, creating a daily habit of deliberate practice, connecting your work to your purpose to serve others and nurturing your hope. You can also help others you care about do the same. Let’s explore this in more depth. "…as much as talent counts, effort counts twice." Duckworth shares stories from her field visits to cadets struggling through their first days at West Point, teachers working in the toughest schools in America and even young finalists in the National Spelling Bee. 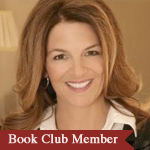 She shares what she learned analyzing the most successful sales people and the most successful people in general. For example, she asked hundreds of people selling time-shares a battery of personality questionnaires, including the Grit Scale. Six months later, she revisited the company, by which time 55 percent of the people were gone. Grit not only predicted who stayed and who left, it was the only personality trait that was correlated with remaining in the job. "How you see your work is more important than your job title. And this means you can go from job to career to calling – all without changing your occupation." 1. Passion – Duckworth suggests grit begins with passion. However, she warns, passion is something we foster rather than follow. Most people would happily follow their passion but they just don’t know what it is. The rampant myth is that falling in love with a career should be sudden and swift. But what science says is that “passion in your work is a little bit of discovery, followed by a lot of development and then a lifetime of deepening”. Perhaps the same is true for falling in love! Achievers first set a stretch goal in a very narrow aspect of their overall performance (e.g., in tennis, how you toss the ball prior to achieving your wicked serve). They then, with great effort, seek to reach that goal. Thus the aphorism, “No pain, no gain”. Feedback is key in their progress. 3. Purpose – At its core, purpose is the idea that what we do matters to other people. We are all looking for “daily meaning as well as daily bread”. The big miss for most people is that they think this should come magically. They don’t realize they need to play an active role in identifying how their work contributes to the greater good. On vacation last year I met the most successful and happy bus driver. He had identified his purpose as making people smile each day – not moving luggage from the car rental to the terminal! He made twice as much in tips as his colleagues and was, dare I say, infinitely happier. I help pharma people identify and communicate their purpose. The ones who do so are simply the most successful. 4. Hope – Grit depends on the expectation that our own efforts can improve our future. Instead of having a feeling that tomorrow will be better, resolve to make tomorrow better. One of my favorite quotes, from Henry Ford is “Whether you think you can, or you think you can’t – you’re right.” With practice you can modify your self-talk and change the way you think, feel and act when the going gets rough. "The real question is whether they are encouraged to employ their good old-fashioned hard work and their grit… Those are the people who seem to be the most successful." Parents who let their kids make their own choices about what they like have kids who are more likely to develop interests that become their passion. Engage them in extracurricular activities. Research shows that kids who are more involved in these fare better on just about every conceivable metric – better grades, higher self-esteem and are less likely to get into trouble. Leaders who want a grittier culture in their organization lead by example. Be gritty! Find and communicate the purpose behind what you do. Have a passion to accomplish a specific goal and the perseverance to follow through. Inspire your people to identify the difference they make in the world and give them hope that they can make a difference. I’ve always said I’m not the sharpest knife in the drawer, but I’ve been told I have stick-to-it-ness that others don’t. After reading Duckworth’s book I now know this quality is grit. I begin each day fueled by my passion, practice, purpose and hope. My career didn’t start off with passion. I took my job in pharma sales because my friend was a rep and she had a company car! My passion for my work evolved slowly, over time and effort. I became increasingly interested in figuring out how we could gain back our ability to influence health care behavior change. The death of my father due to an avoidable prescribing error deepened my interest. I developed that interest to a point where I left big pharma to teach what I was learning. I now help others in pharma find their passion for their work and how their work contributes to the most important outcome – quality and quantity of lives. I love my mission to lift pharma and build purpose-driven, influential pharma people. What about you? Is there room to deepen your grit; to delve into your passion, improve your practice, focus more on your purpose and increase your hope? Seems to me it’s worth it! We can all use more grit!